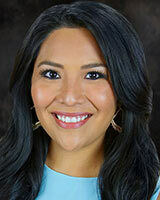 Charly Edsitty is an ABC13 multi-media journalist and comes to Houston from her hometown in Phoenix, Arizona. Charly started her career at KPNX-TV in Phoenix working behind the scenes, and quickly worked her way to an on-air position. From wildfires to snow storms to serial shootings, Charly has covered all the major breaking news stories coming out of Arizona. She shoots, writes and edits all of her stories and enjoys working both in front and behind the camera. During her time working at the station's northern Arizona bureau in Flagstaff, Charly was in the middle of some of the state's largest snow storms and wildfires. She also provided leading coverage of the deadly campus shooting at Northern Arizona University and the murder of American humanitarian Kayla Mueller by ISIS. While in Phoenix, Charly dug into documents surrounding the deadly "serial street shooter" and broke several major developments in an ongoing sexual assault investigation involving a prominent high school football team. As a proud member of the Navajo Nation, one of the largest Native American tribes in the country, Charly also shined a light onto the many overlooked issues affecting tribal communities, including a piece focused on missing and murdered Indigenous women. Charly graduated from Baylor University with a degree in print journalism and is also a former White House Intern. She is a member of the Native American Journalists Association and is happy to be back in the great state of Texas. Sic 'Em Bears! The 79-year-old Austin woman was told to wire cash to pay the taxes on her $400,000 win. Several neighbors in the Humble area have lots of clean up to do after a powerful storm ripped through.